"Life Quotes Personal Checks" product is already in your cart. The new Life Quotes Personal Checks by Bank Checks Now feature an artistic abstract of white fluffy dandelion blossoms against a beautiful light blue background. 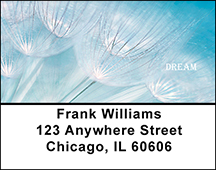 The inspirational words of Dream, Hope, Love and Believe will add an uplifting view of life each time you take out your checkbook.